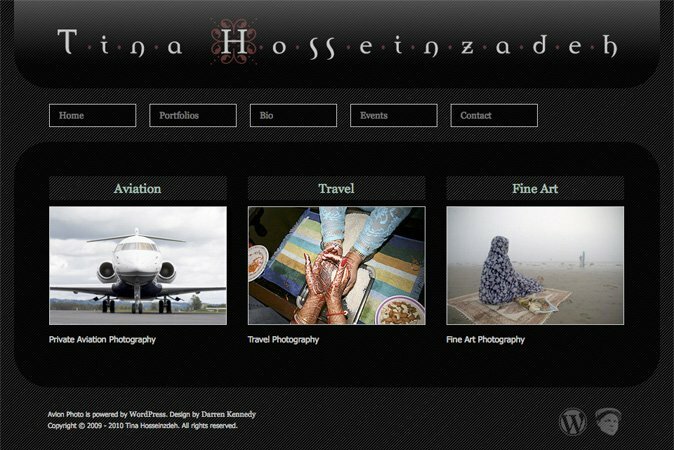 Avion Photo is the portfolio site for photographer Tina Hosseinzadeh. The goal of this project was to create a rich canvas to display the photo galleries. This was achieved by creating a mostly black website that included some interesting texture and transparencies. This was a really fun departure from the clean, white, corporate designs I had been doing for the few years prior. 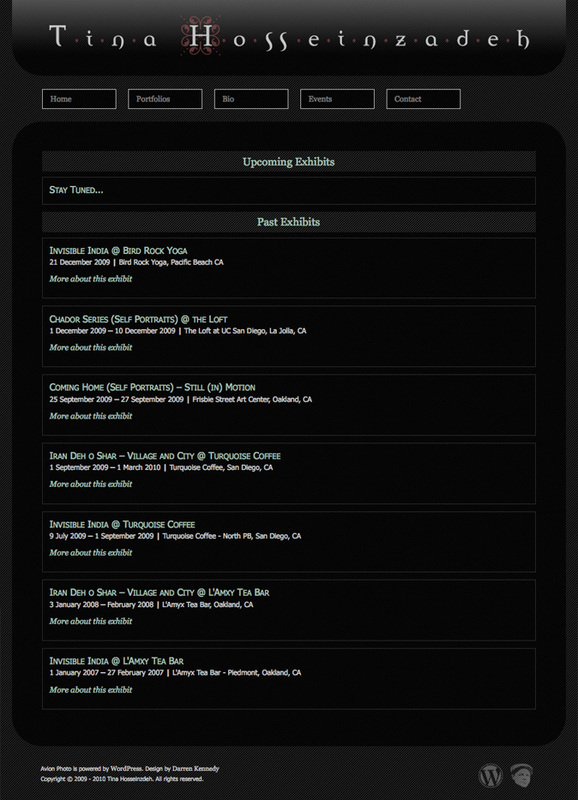 The site was then moved into WordPress as a CMS, which enabled some dynamically generated features in the modularized event section as well as including maps and links to social media sites.